A trailer trip in Fall 2012 along the coast of northern California, mostly featuring visits to the Redwood National Park. 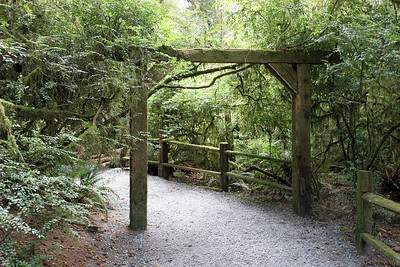 The park actually consists of several disjoint parks, both federal and state, who cooperate in presenting one large Redwood Park. Everyone has to do this sort of thing, but not necessarily with a large truck! 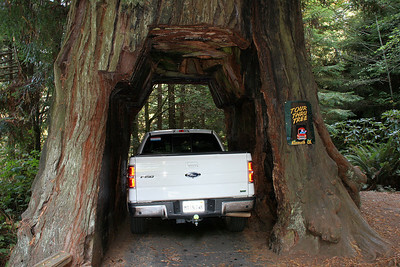 We had to fold in the mirrors in order to just barely fit the truck through the tree. Even then we scraped up one mirror just slightly. 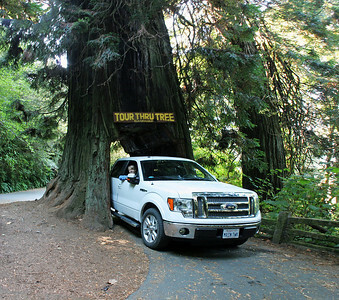 The Tour Thru Tree is privately owned by a Native American Reservation, not part of the public Redwoods National Park system. 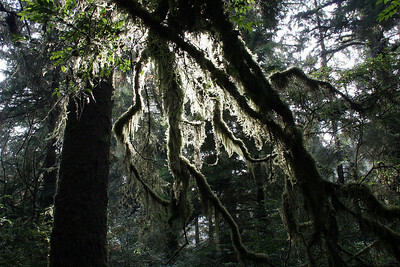 "Trees of Mystery" is also a privately owned park with some nice trails through some interesting old growth forests. 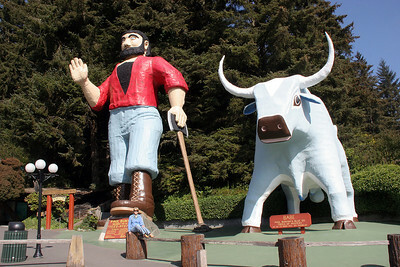 At the parking lot you are greeted by Paul Bunyan and his companion blue ox Babe. To get a sense of scale, be sure to notice Teddie sitting on the stump below Paul. 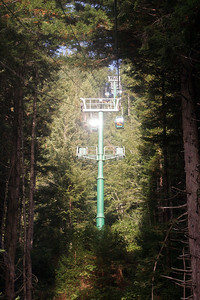 The trails inside the Trees of Mystery park. 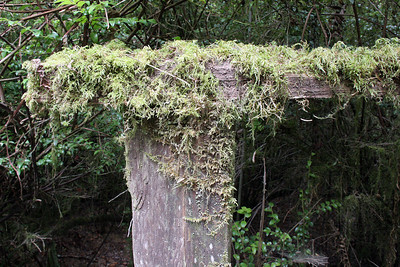 Moss on the hand rails of the trails in Trees of Mystery park. 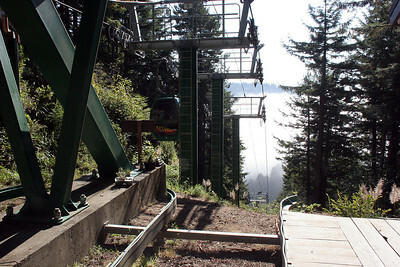 Trees of Mystery includes a cable car ride through the tree tops, up to the top of their property for a fine view. 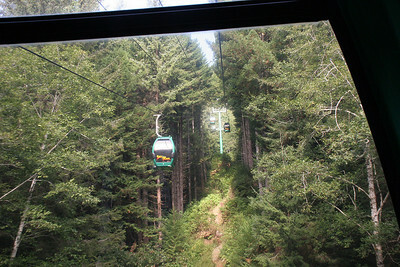 Trees of Mystery cable car ride. 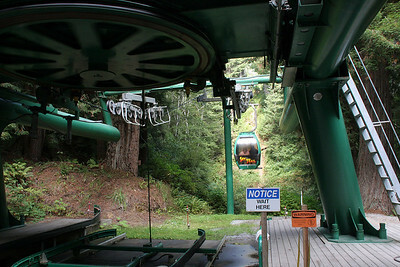 At the top, Trees of Mystery cable car ride. 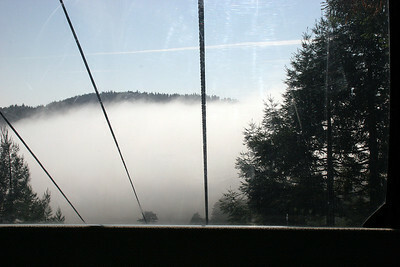 Above the fog, Trees of Mystery cable car ride. 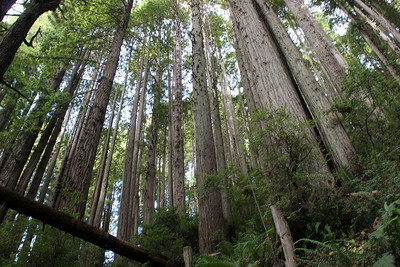 Back down in the Redwood forests in the Trees of Mystery park. Trees of Mystery ... perhaps it is scenes like this that give the park its name. 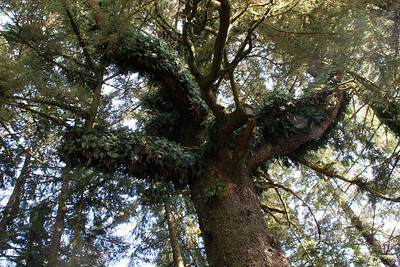 Trees of Mystery: Be sure look closely to notice the complete whole trees growing up out of the branches of this very old redwood. Multi-image panorama of the Klamath River near its mouth on the Pacific coast. We camped in an RV park along this river. 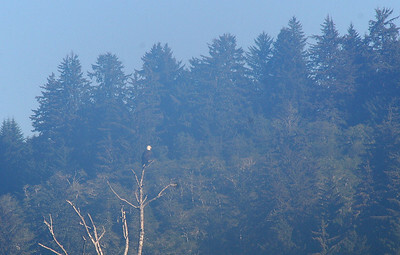 Telephoto shot of a Bald Eagle on the other side of the Klamath River. 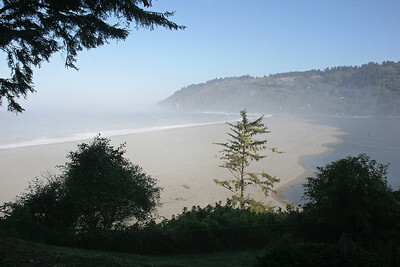 Morning fog plays along the edges of the Klamath River mouth. 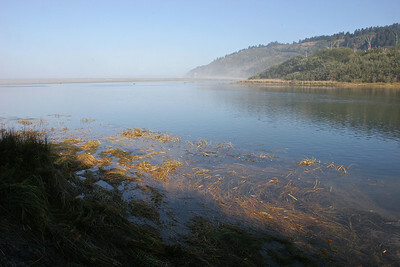 The sandbar spit across most of the Klamath River mouth. 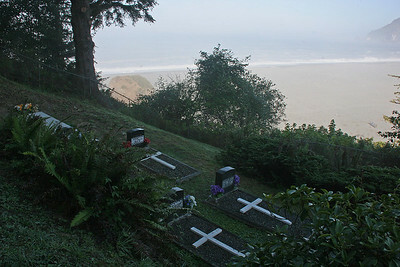 An interesting graveyard above the Klamath River mouth spit. 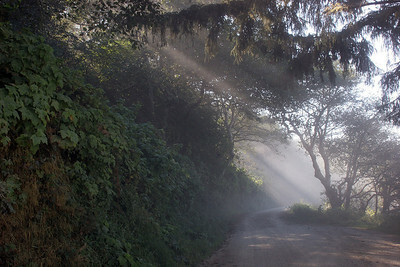 Fog plays in the trees of the one-way dirt road along the coast near the Klamath River mouth. 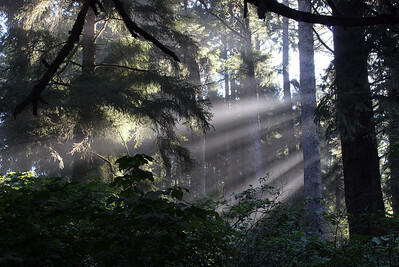 Fog plays in the trees along the coast near the Klamath River mouth. Now we head to the interior where we will hike down into the valley below. 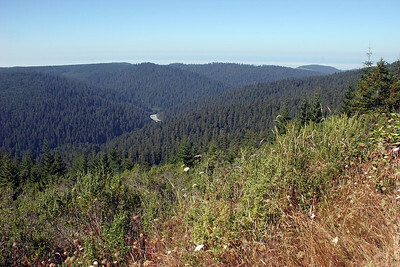 This is the view back toward the coast from the Redwood Creek Overlook, at 2100 feet of altitude. 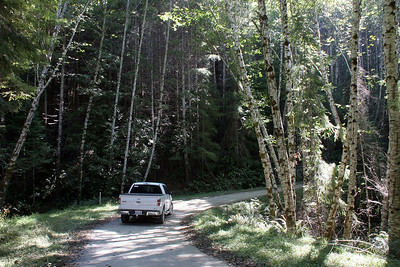 Driving down into the Redwood Creek valley to get to the trailhead to the Tall Trees Grove.